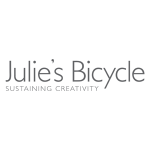 Julie’s Bicycle is a global charity working at the intersection between culture and environmental sustainability. Their vision is a creative sector powering action on climate change. Their mission is to provide the inspiration, expertise and thought leadership to make that happen. They work with over 1,000 organisations, providing the creative community with the skills to act, using their creativity to influence one another, audiences and the wider movement. They run a rich programme of events, free resources and public speaking engagements, which contribute to national and international climate change policy development. Julie’s Bicycle operates from the UK. 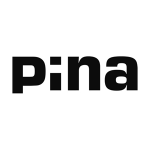 PiNA is an organisation focused on social development, advocating respect for basic human rights and democracy, active participation of individuals in their community, cultural engagement, respect for the environment with a focus on sustainable development, critical thought and ethical operation and lifelong learning with a holistic approach to education. 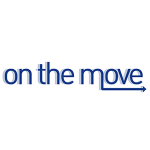 On The Move (OTM) is a cultural mobility information network with more than 35 members in over 20 countries across Europe and beyond. Their mission is to encourage and facilitate cross-border mobility and cooperation, contributing to building up a vibrant and shared European cultural space that is strongly connected worldwide. On The Move operates from Belgium and France. 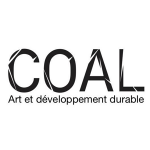 COAL, the Coalition for Art and Sustainable Development, mobilises artists and cultural actors on social and environmental issues and supports the creation of artwork, creating awareness and implementing concrete solutions through exhibitions, events, the COAL Art & Environment Prize, and other intelligent resources. 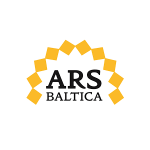 Ars Baltica support the implementation of high quality artistic and cultural projects with a strong focus on the Baltic Sea Region. They offer platforms for knowledge exchange and experience in the field of cross-cultural cooperation, and add value to existing projects. They advocate for culture, and promote the Baltic Sea cultural life outside of the region. Ars Baltica operates from Germany. krug actively promotes environmental awareness in the Western Balkans through arts and culture and strives to make sustainability integral to the creative sector. krug coordinates the Green Culture Network and delivers an annual conference, networking and educational events towards promoting a sustainable future for the region, in partnership with local and regional cultural organisations, NGOs, academic institutions and international partners like the British Council. 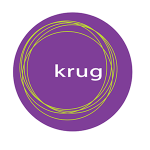 krug operates from the UK and Montenegro. EXIT Foundation is an official organiser of Exit Festival in Novi Sad, Serbia, the Sea Dance Festival in Budva, Montenegro, and Revolution Festival in Timisoara, Romania. Using the power of the EXIT brand, EXIT Foundation’s mission is to position itself as a leader in mobilising public opinion and as a decision maker in the field of youth development, creative industries and destination branding. EXIT has been active in supporting the development of the festival industry in the Balkans and is a full member of the European Festival Association. 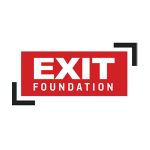 EXIT Foundation operates from Serbia. 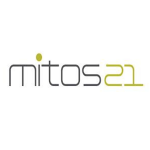 mitos21 is a network of some of Europe’s most powerful and important theatre institutions. Its main objective is to create artistic instances where theatre professionals can meet, collaborate and work together, as well as jointly question and reconsider the role of theatre in contemporary society from their respective, diverse and unique professional backgrounds and experiences. The network’s activities place special emphasis on cross-border collaboration, peer learning, supporting the younger generations of artists and theatre professionals, as well as promoting sustainable practices among its members. mitos21 is a non-profit association under Danish law and has its artistic seat at the National Theatre London. Funding from Bamboo Curtain Studio made it possible for Iris Hung to attend the Creative Climate Leadership programme.